Sainimere is an 11 year old girl. Sainimere lives with her Mum and has 4 brothers and sisters, one of whom is still at school. Her father has passed away so the family expenses depend upon her Mum's earnings and the support of two older brothers. 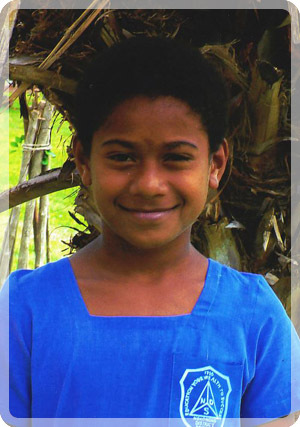 Sainimere enjoys attending school and her favourite school subject is english. Sainimere travels to school each day on foot. When she grows up, Sainimere to be a Teacher. Sainimere is a hard working child who takes great interest in her school studies. Sainimere is currently looking for a sponsor to continue schooling. Sainimere now receives the education every child deserves.